One of the secrets to being a good patron of yard sales is to go to as many yard sales as you can. By doing this, you increase your chances of finding some great stuff and beating other people to it. The fabric in this first picture is one of those finds that I am SO happy to have found - and it was bought at a yard sale that I almost didn't get out of the car to go to. See, when you are in a rush - you sometimes do "drive-bys" because it's not really worth it to even get out of your car to look at someone's used candles, empty baby wipe cases, or empty CD cases..... Anyway, I bought these beauties for $1 - not pictured are all the other, more plain, cuts of fabric that came in the bundle. I absolutely adore the print on the left - so 70's! I also got a large stack of vintage children's patterns. These books were bought a few weeks ago from a lady who was a bit snobbish when I told her about modern quilting... but we'll forgive her because she sold me these great books (plus a few other great sewing notions). I love quilting books- but I have to restrain myself sometimes because I am running out of room for all of this sewing stuff. 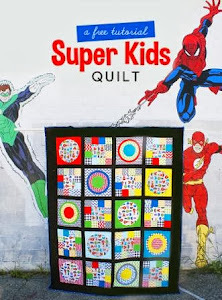 Anyway, I am most excited about the book on the far right - it's all about how to do massive rotary cutting of 200 different classic quilt blocks. 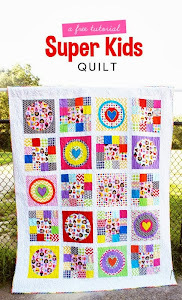 Have you ever seen those drool-worthy quilt books that have pages and pages of different quilt blocks - but you have to put it down in dismay - when you realize that it is instructing you to make templates and cut out every little piece individually? Yuck! I will let you know how I like using it - as I have been constantly thinking about making traditional blocks out of modern fabrics.